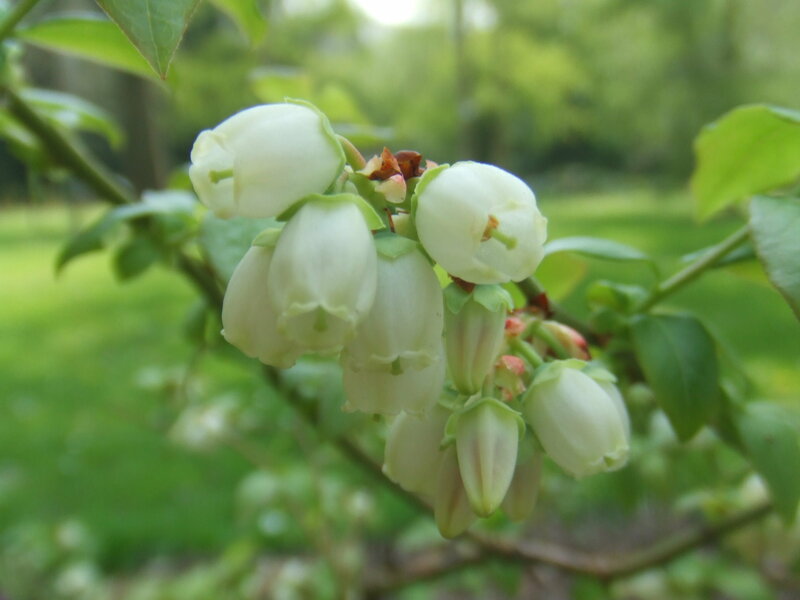 Vaccinium is a genus of shrubs; roots associated with highly specialized ascomycota ericoid mycorrhizae, (Allen1991; Berliner and Torrey 1989). No stipules. Leaves alternate, simple, margins sometimes toothed. Ours mostly deciduous except V. macrocarpon. Flowers white, sometimes pink in bud; radially symmetrical, 4-5 parted, petals usually fused, corolla urn-shaped or sometimes lobed to below middle; stamens 8-10, shorter than corolla; style mostly longer than stamens. 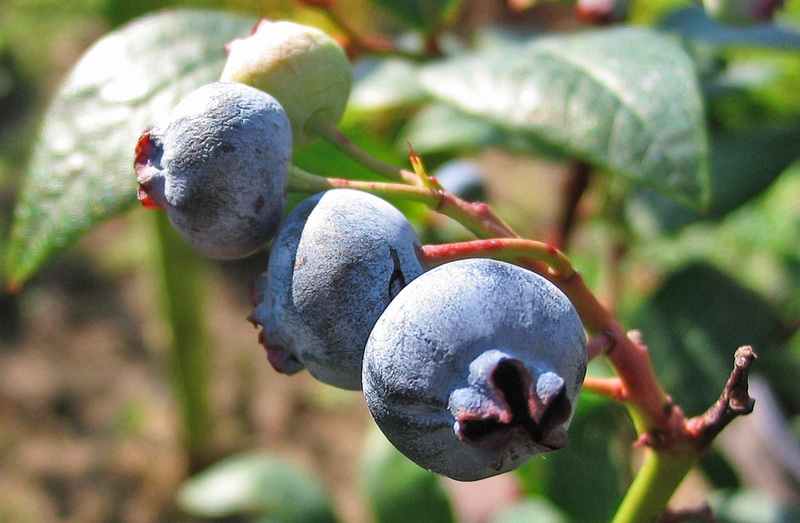 Fruit fleshy, many-seeded, blue to black or occasionally red. Fruit eaten by many birds and small mammals. Notes: Leaves and twigs eaten by deer and rabbits (Martin et al. 1951)..